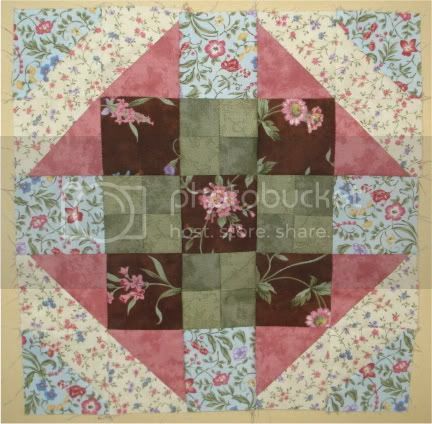 More of the Wildflower Rhapsody Block of the Month we're doing at my local quilt store. February's Block - didn't have any issues putting this one together. March's Block - this one I screwed up. 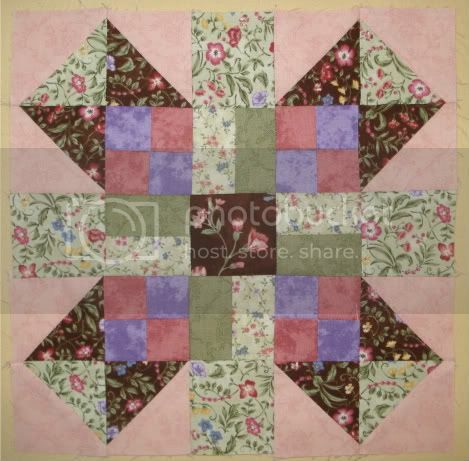 The pink/purple four patches were supposed to be the longer green/cream floral pieces in between them. Lesson learned: pay a lot more attention to blocks with a lot more pieces! Oh well... Make it unique, right?